are found on the western point of the island. Charlestown, the capital of Nevis, is situated on the leeward side of the island on Gallows Bay. Though small, the town offers some of the best-preserved 18th century architecture in the Caribbean. The capital of the United States Virgin Islands and the most popular cruise port in the Caribbean, Charlotte Amalie offers beautiful natural scenery, fascinating history, and a wealth of duty-free shopping. Finally, an island named for a female pirate! It has magnificent beaches and two small settlements. Whether you choose White Bay (on the west side of the island) or Great Harbor (south-central), Jost van Dyke offers just the right atmosphere for rest and relaxation. The village of Sandy Ground is Anguilla’s main port for ships and also nighttime activites. The long curved beach is lined with high cliffs and a salt pond behind. The harbour is usually filled with all types of fishing boats and pleasure boats. It is also the best place to find a boat ride to Sandy Island or Prickley Pear Cay. You have everything on Sandy Ground beach, great restaurant, entertainment and even a small grocery store. Annual boat races are also held on Sandy Ground beach. 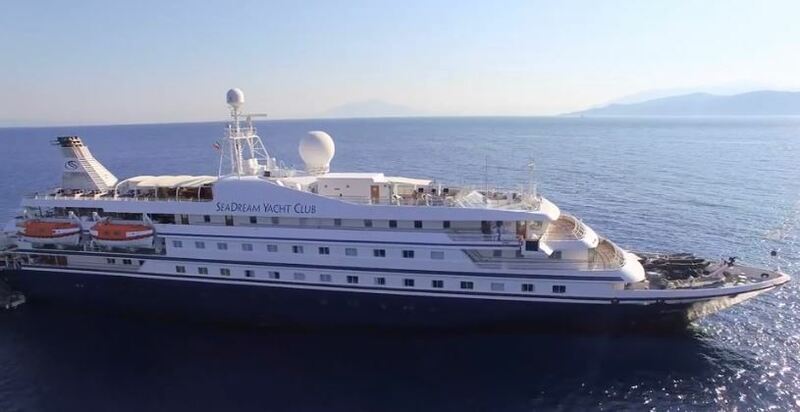 SeaDream’s website fares are capacity controlled and may change without notice. The fares are per person based on double occupancy. Single and third person rates are also available. Government, port, document issuance, handling and service fees are extra. Fares include accommodations, all gourmet meals, select wines with lunch and dinner, open bar with select premium spirits, gratuities, use of water toys, mountain bikes, golf simulator, and more. Not included are optional onboard expenses including but not limited to spa treatments, salon services, communication costs & internet access, boutique purchases, medical services, casino play, optional Yachting Land Adventures, or air and ground travel arrangements. Yachts’ Registry: Bahamas.